At the Somerset Cricket Club, the Somerset Trojans picked up only their 3 point of the season and X-Road’s remain in third place as the two teams played to a 2 – 2 draw. 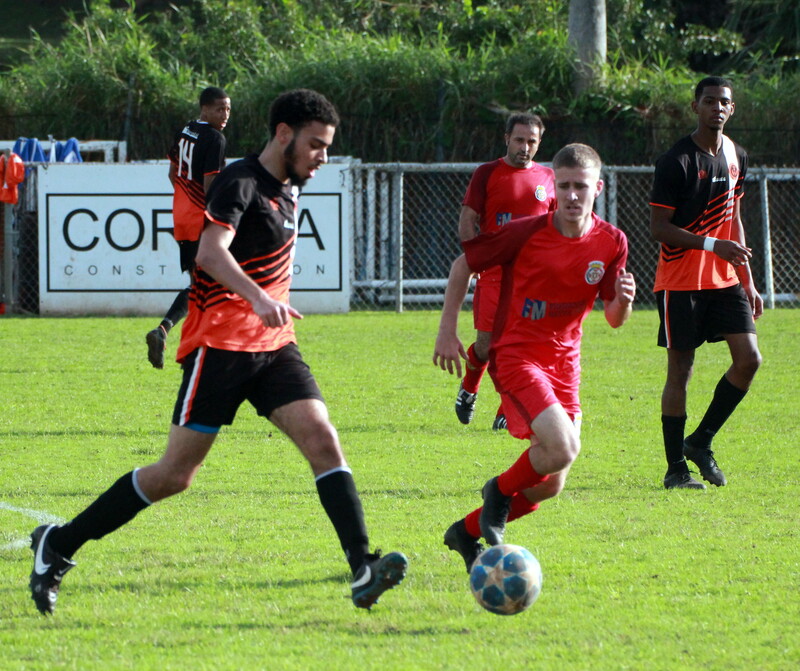 Jaden Rattery-Smith gave the Somerset Trojans the lead in the 34th minute, the Premier Division leading goalscorer Donovan Thompson equalized three minutes later. X-Road’s would then take the lead when Paul Simons found the back of the net in the 40th minute as they took that lead to the break. The Somerset Trojans would score the only goal of the second half to level the game with D’Andre Wainwright scoring in the 54th minute as the two teams shared the points. At the Bernard Park, Jomei Bean –Lindo would score twice to lead the Devonshire Colts to a 6 – 2 win over Vasco. Devonshire Colts would also get single strikes from Diego Richardson, Teniko Eve, Charles Trott and Eli Smith, while Vasco got single strikes from Marco Mota and Kristian Singh. At the Wellington Oval, Wolves stunned Hamilton Parish pulling off a 3 – 0 win. After a scoreless first half, Wolves would take the lead in the 59th minute when Lamelle Paynter scored, Russ Ford would double the lead when he scored in the 68th minute and then Vincent Minors Jr. would find the back of the net in the 89th minute to earn Wolves the win.